We believe in the value of client relationships. We view every client relationship like a partnership, and truly believe that our success is a result of your success. We are committed to providing close, personal attention to our clients. We take pride in giving you the assurance that the personal assistance you receive comes from years of advanced training, technical experience and financial wisdom. Our continual investment of time and resources in professional continuing education, state-of-the-art computer technology and extensive business relationships is indicative of our commitment to excellence. 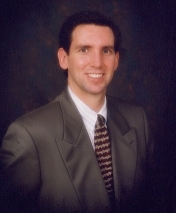 Jeff is the Senior Principal and owner of the company. He graduated from the University of California, Santa Barbara in 1988, received his CPA certificate in 1991, and earned his Masters In Taxation from Golden Gate University in 1997. Jeff has been in public accounting since 1988. He worked for Deloitte & Touche as well as small and medium size Orange County firms before starting his own practice in 1999. Jeff has extensive experience in all levels of clientele, from individuals to large corporations. In addition to serving the needs of his ongoing tax and accounting clientele, he has handled audit representation and collection issues, as well as specialized tax planning associated with buying or selling a business and entity formation.